Fossils (from Latin fossus, literally "having been dug up") are the preserved remains or traces of animals, plants, and other organisms from the remote past. The totality of fossils, both discovered and undiscovered, and their placement in fossiliferous (fossil-containing) rock sedimentary layers (strata) is known as the fossil record. 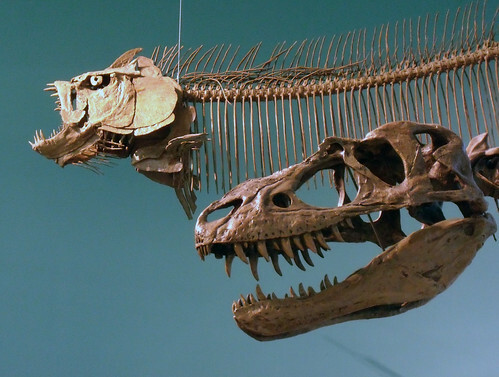 The study of fossils across geological time, how they were formed, and the evolutionary relationships between taxa (phylogeny) are some of the most important functions of the science of paleontology. Such a preserved specimen is called a "fossil" if it is older than some minimum age, most often the arbitrary date of 10,000 years ago. Hence, fossils range in age from the youngest at the start of the Holocene Epoch to the oldest from the Archaean Eon several billion years old. Many species that are no longer alive are found in the fossil record. 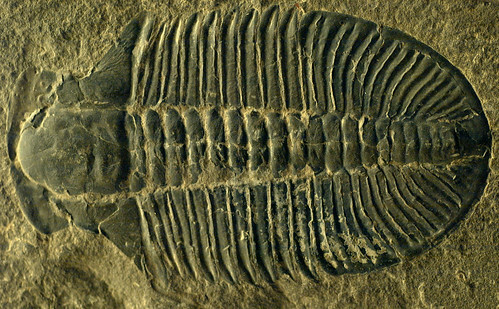 Some, like this trilobite, are gigantic ancestors of animals or insects we have around us today. 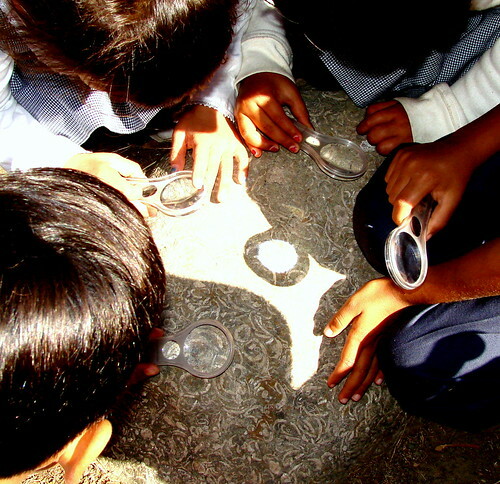 Imagine giant ants or praying mantis ! Skeletons of long extinct animals, like dinosaurs, have been discovered fossilised in rock. Many can be millions of years old. 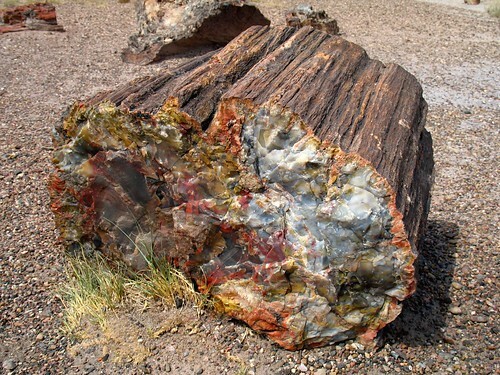 This is petrified wood - wood turned into stone. it is thousands of years old. Plant images that have become fossilized in rock help us learn about the sorts of plants that used to be around. Some haven't changed much in millions of years. 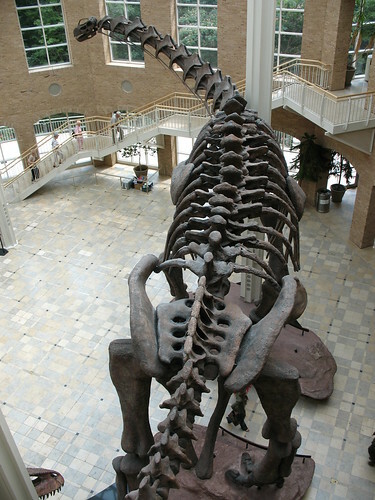 Everything we know about dinosaurs comes from fossils found in rock. 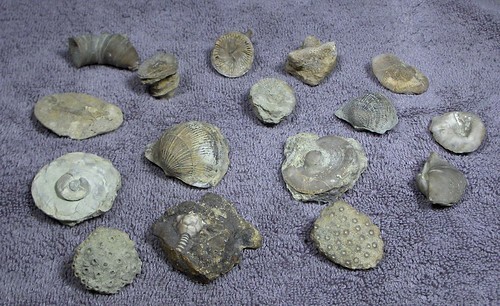 Shell images are quite common fossils. The shells become part of the rock through crystalisation.